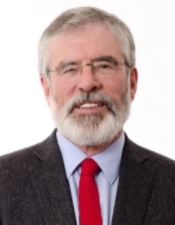 Sinn Féin President Gerry Adams TD has insisted that the Irish government must not leave the British government “off the hook for the Summer” when it comes to work required to reach an agreement in the North that would see the restoration of the political institutions. 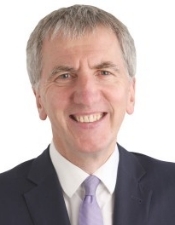 He stated that the approach of the DUP – supported by the British Government – represented a huge failure on behalf of Theresa May and her officials. The Sinn Féin President said that “The Minister for Foreign Affairs Simon Coveney has made a generally positive contribution so far. It is crucial, however, that the Irish Government now engages immediately with their British counterparts to ensure that the pathway to reaching an agreement is developed. The idea that all of this can be parked until September is a non-runner. Both governments have a duty to take active responsibility to ensure that the work is done now to help facilitate an agreement. The Irish government cannot allow the Tory government off the hook for the summer. 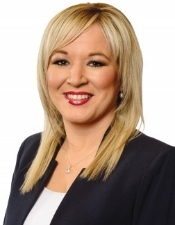 Speaking earlier in the week, Sinn Féin’s group leader in the north Michelle O’Neill said the fact that a deal has not been done represented a ‘monumental failure’ on the part of Theresa May and the Tory government. 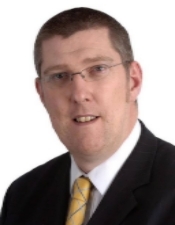 Sinn Féin MLA John O’Dowd has said those who are telling businesses and farmers that they can continue with frictionless trade post-Brexit are misleading them and are prepared to damage the economy and lives of people across the island of Ireland in pursuit of a ‘little Englander’ vision which has no basis in reality. Sinn Féin MLA and National Chairperson Declan Kearney has repeated that Sinn Féin wants the political institutions established urgently. Writing in An Phoblacht he also said that the DUP can only go back into government when it accepts the primacy of a rights based, inclusive and anti-sectarian society in the North. 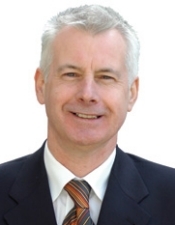 Read Declan Kearney’s full blog. 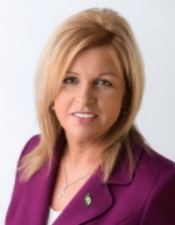 Mayo Senator Rose Conway-Walsh has called on the Government to act immediately and decisively in protecting Irish fishermen from the implications of Britain’s decision to withdraw from the London Fisheries convention. 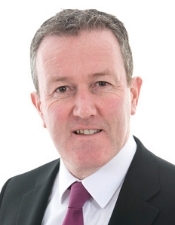 Sinn Féin MLA Conor Murphy has said the proposals from James Brokenshire over transparency in political donations do not go far enough. 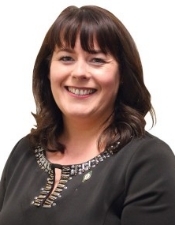 Speaking on Wednesday in the wake of Sinn Féin’s PMB motion on the poor working conditions and pay for those in the Early Years childcare sector Sinn Féin’s Spokesperson on Childcare Kathleen Funchion TD has welcomed the unanimous passing of the Sinn Féin motion seeking to support early years childcare staff. Sinn Féin MLA John O’Dowd said today that negotiations at Stormont need to be brought to an urgent conclusion – and called on the British prime minister Theresa May and the Taoiseach Leo Varadkar to take direct responsibility in the talks. Speaking from London this week, Francie Molloy MP reiterated that Sinn Féin remains committed to the legacy mechanisms agreed to at Stormont House and are resolutely opposed to any suggestion of immunity to British state forces who tortured or murdered Irish citizens. Francie Molloy was speaking after attending a seminar in London on Monday hosted by the Pat Finucane Centre (PFC) in conjunction with Amnesty International, the Committee on the Administration of Justice (CAJ), and Matrix Chambers. The seminar presented further evidence that torture was carried out by British State forces in the Six Counties. 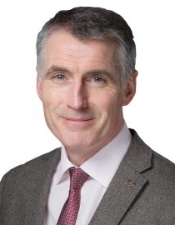 He thanked the Pat Finucane Centre for uncovering the accounts from inside the UK’s National Archives in Kew and in the O’Fiaich Library in Armagh – and for bringing them to wider public attention. Sinn Féin MEP Martina Anderson has said Tory plans about the rights of EU citizens will harm the north’s economy. 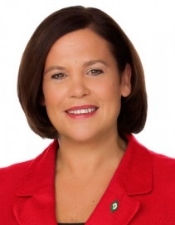 The Sinn Féin leader spoke on the theme of ‘Let’s talk about the future’. These are extracts from his speech. We need a new approach, one which unlocks unionist opposition to a new Ireland by reminding them of their historic place here and of the positive contribution they have made to society on this island. We need to address the future role of the Orange, its place in an agreed Ireland. Of course, that is a challenge also for the Orange and I invite their leaders once again to meet with Sinn Féin. It is unacceptable for the Orange to refuse to meet at leadership level with our leadership. I have met with Orangemen as have other Republicans. These have been useful and necessary engagements. They need to be built upon. Unionist leaders, including genuinely moderate people find it difficult to take public, as opposed to private, reconciliation initiatives. Or to publicly reciprocate to goodwill from Republicans. Martin McGuinness’s resignation letter and his concern about this, should give thoughtful leaders of unionism some encouragement if they genuinely want to build a future based on mutual respect. I would urge anyone interested in a united Ireland to join this conversation. Organise your own conferences or forums. Publish your proposals – for and against. Sinn Féin has already gone some way in doing this. For example, we are for a new Ireland with a new constitution and a Bill of Rights. Sinn Féin Foreign Affairs Spokesperson Seán Crowe TD has welcomed the UN announcement that they have received all individual arms from the Revolutionary Armed Forces of Colombia (FARC) combatants and that the FARC has announced it is no longer an armed group. Teachta Crowe has called on the Colombian Government to deliver its side of the peace agreement and to urgently resolve its outstanding obligations, including the release of all qualifying prisoners. He concluded reiterating Sinn Féin’s call for the Colombia Government to meet its obligations under the peace process, and to implement the amnesty law and release all qualifying prisoners. 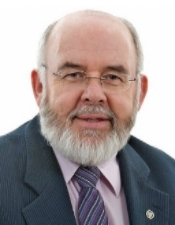 Francie Molloy MP said today that Sinn Féin remains committed to the legacy mechanisms agreed to at Stormont House and are resolutely opposed to any suggestion of immunity to British state forces who tortured or murdered Irish citizens. Francie Molloy was speaking after attending a seminar in London hosted by the Pat Finucane Centre (PFC) in conjunction with Amnesty International, the Committee on the Administration of Justice (CAJ), and Matrix Chambers. “It is appropriate that on the 26th June – the International Day in Support of Victims of Torture – we took the time to examine these unearthed documents which prove – without any question – that British State forces were engaged in torture in Ireland during the conflict. The documents exhibited this evening provide harrowing contemporary accounts of waterboarding, sexual assault, and electric shock treatment. As someone from the Nationalist community who lived through the period of conflict this is not the first time I have heard such accounts of systemic brutality and cruelty at the hands of the British Army and RUC. We always knew that such accounts were not fabrications. We always knew that the scars and bruises were not self-inflicted. These documents show the world that we were right all along. I welcome the fact that this seminar was held in London where its revelations will hopefully reach a wide audience. I wish to thank the Pat Finucane Centre for uncovering these accounts from within the UK’s National Archives in Kew and in the O’Fiaich Library in Armagh – and for bringing them to wider attention. The evening’s discussion once again demonstrates the need for a holistic approach to the past. There can be no side deals on the legacy of the conflict. Speaking on Thursday, Sinn Féin MLA Conor Murphy stated that the British government’s attempt to get the DUP to shore up Theresa May’s administration was making it increasingly difficult to get a resolution in the ongoing talks at Stormont. Sinn Féin’s Northern leader Michelle O’Neill has called on political unionism to join the debate about shaping a new and agreed Ireland. Writing for the eamonmallie.com website ahead of a major conference on Irish Unity this weekend, which is open to the public, the Mid-Ulster MLA also pointed to recent election results as evidence of growing demand for reunification. The National Conference, ‘An Agreed Future?’ takes place in the Waterfront, Belfast at 12pm on Saturday June 24th. You can read Michelle O’Neill’s full article here. 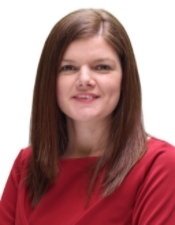 Sinn Féin TD Kathleen Funchion has criticised the new Taoiseach Leo Varadkar’s appointment of just seven women out of a possible 33 junior and senior ministries. The Tory Government is prioritising a self-serving negotiation with the DUP over the Stormont talks, Sinn Féin MP Elisha McCallion has said. The DUP is living in a fool’s paradise if they believe there can be a return to the power-sharing institutions without committing to a rights-based approach to government, Sinn Féin Chairperson Declan Kearney has said. 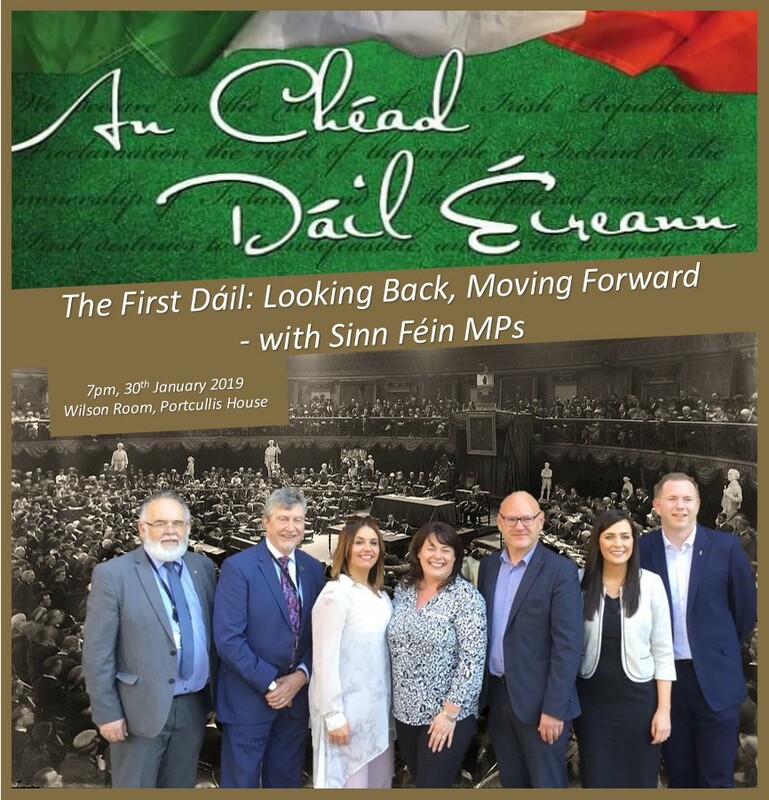 Sinn Féin MEP Martina Anderson today launched the first in a series of monthly newsletters designed to keep people here updated on the Brexit negotiations. Michelle Gildernew MLA was joined in Enniskillen by MEP Matt Carthy on Thursday, to set out Sinn Féin’s proposals for the agriculture sector in the face of Brexit. She continued, “Brexit and loss of access to the single market has been a major concern of the farming community since the vote last year. The cost of complying with two different regulatory regimes, having products certified by different bodies, and ensuring packaging meets two different sets of requirements would be disastrous for farmers. The proposals we are setting out this morning provide a number of ideas about how the worst effects of Brexit could be mitigated. They outline exactly how a designated special status for the North of Ireland would work in practice for the agriculture sector. 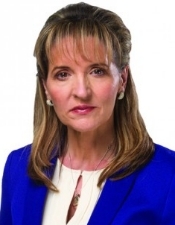 Sinn Féin MEP Martina Anderson has said the Tory Brexit agenda would jeopardise the livelihoods of many involved in the business community in the north. Sinn Féin’s Paul Maskey travelled to London on Tuesday with the Ballymurphy Massacre families to serve letters on the British Ministry of Defence and Theresa May. Speaking on Thursday, Barry McElduff MLA said that questions into the murder of Sinn Féin councillor Eddie Fullerton would not go away. The West Tyrone election candidate was speaking on the anniversary of the poplular Buncranna councillor’s killing. Eddie Fullerton was assassinated by a UDA gang in collusion with British state forces on 25th May 1991. Sinn Féin suspended its Westminster election campaign during this week out of respect for those killed and injured in the bomb attack in Manchester. Mr Adams said that the Taoiseach had failed to set out the Government priorities in a consolidated paper, as he had promised in March. Mr Adams said that the Good Friday Agreement institutions, human rights guarantees, all-Ireland bodies, and the constitutional and legal rights of the people had to all be protected. Sinn Féin’s Elisha McCallion has said the upcoming Westminster election is an opportunity to vote against the Tory Brexit agenda and austerity. She was speaking from London where she and Sinn Féin deputy leader Mary Lou McDonald TD and Francie Molloy MP are involved in a series of engagements last friday. 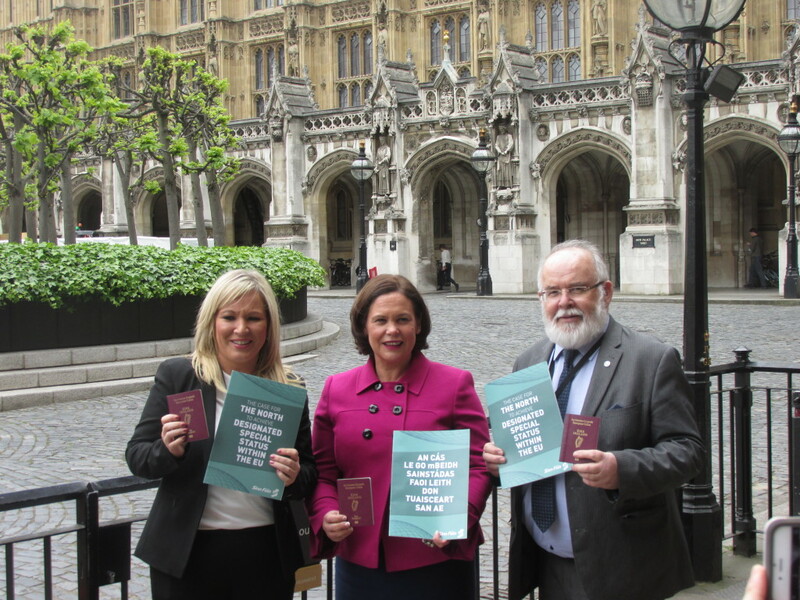 Sinn Féin deputy leader Mary Lou McDonald TD and party leader in the North Michelle O’Neill MLA were in London last for a series of meetings on Brexit and to argue the case for designated special status for the North within the EU and to protect Ireland’s economic interests. 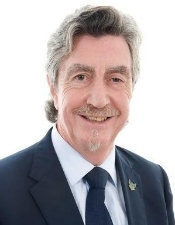 Sinn Féin MP Mickey Brady said the fight to protect emergency services at Daisy Hill Hospital must continue. 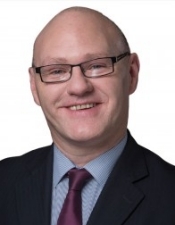 Sinn Féin MP Paul Maskey has said Tory cuts and austerity are seriously damaging the education system and public services. This time 20 years ago the fledgling Irish peace process was in deep trouble and on the verge of complete collapse. The failure of the then Tory government to embrace the opportunities created by the IRA ceasefire and to commence meaningful negotiations brought about the collapse of the ceasefire. Only when new governments were elected in London and Dublin, combined with the significant political influence of President Bill Clinton’s US administration did the IRA go back on ceasefire. Quickly thereafter inclusive negotiations began which led to the Good Friday Agreement (GFA) in April 1998, and the formation of the local power-sharing government and all-Ireland institutions. Today and twenty years later the political process, which became the architecture of the peace process is now in serious trouble and a deepening crisis. It is not coincidental that a Tory government is back in power. The collapse of the power-sharing executive and failure of the talks since the Assembly election on 2nd March constitute the most serious political crisis in the peace process since before the GFA was signed. The origins of this crisis go back to the election of the Tory-led coalition 2010. Since it returned to power this Tory government has adopted an explicitly pro-unionist and partisan policy towards the North. It has politically aligned itself with both the DUP and UUP in joint support for austerity policies; Brexit; a single unionist narrative of the political conflict; and in blocking any progress on dealing with the past, as well as core equality issues. When the Tory party came into government in 2010 those on the extremes of political unionism seized the opportunity to push back against the progress of the peace process, by attempting to systematically hollow out the GFA. That backlash has defined the direction of the political process in the North over the last seven years. A significant and influential section of the DUP have always opposed the GFA. That has found expression in their opposition to sharing power with Sinn Féin, and hostility to equality for republicans, the Irish identity, ethnic minorities, women, and the LGB&T community. These are the people who forced Ian Paisley out of the DUP leadership after he led that party into coalition with Sinn Féin in 2007. They haven’t gone away. Their regressive mind-set still dominates within the DUP. It is most sharply pronounced within the party’s Westminster parliamentary group. Since the onset of the RHI scandal tipping point last year and in particular from Martin McGuinness’ resignation and the 2nd March Assembly election, the DUP ‘Westminster Command’ has been in control of the party’s political agenda. It became clear very quickly when the first phase of post-election talks began that the DUP was not serious about resolving this political crisis. Importantly, but not surprisingly their position was matched by the British government. Ultimately the scale of the crisis is the culmination of both the British and Irish governments taking the peace process for granted, (albeit for different reasons), since 2010 and 2011 when each respectively came to power. Since then both have been continuously in default of their co-equal responsibilities to ensure full implementation of the GFA and successive agreements. That is the context within which the DUP lost the run of themselves in the political institutions, treating all other political parties and wider society in the North with political arrogance and contempt. As a result the political process has been corrupted with an abuse of political power and institutionalised bigotry. However a Rubicon was crossed with the result of the Assembly election. The clear message delivered by the electorate was that there should be no return to the status quo. The last two phases of talks showed no evidence they are serious about resolving the issues at the heart of the political crisis. They both want the political institutions back up again, of course; but they don’t want to have to tackle institutionalised bigotry, sectarianism or intolerance within the North. In recent weeks they and others have been maliciously saying publicly and privately, that in the absence of Martin McGuinness, Sinn Féin does not want a deal which re-establishes the political institutions; is seeking to humiliate the DUP; and is weaponising the Irish language. They have instead attempted to deflect away from their joint opposition against rights-based government and society in the North. Together the DUP and British government have become an anti-equality axis, which is the source of the political deadlock. Unless they step back from that position there will be no progress. In fact it would appear that is their calculation. The decision by Theresa May to call the Westminster general election is the clearest indication that the Tory government has now formally disengaged from the political process here, and has made a strategic decision that its policy towards the North of Ireland does not include re-establishing the political institutions on the basis of equality, respect and integrity. British state obligations under the GFA are now subordinate to the primacy of the Tories’ unionist objectives, and influential opposition from the most senior echelons in Britain’s Ministry of Defence and security services against dealing with the legacy of the past. These factors dovetail with the Tories’ motivation in announcing the election, which is driven by a right-wing power grab, designed to copper fasten a hard Brexit, and an overall ideological project to reshape Britain as a neo-Thatcherite society. The Tories have no strategic or political commitment in seeing strong political institutions in the North based on equality and rights, and acting as a bulwark against austerity and Brexit. That would be anathema to the ideological project they are embarked upon. This British government most definitely does not want that, while having to contend with an increasingly unmanageable Scottish government in Holyrood. It is becoming more obvious that the Tories and the ‘Westminster Command’ of the DUP share a position that it would be better not having locally based power sharing and all-Ireland political institutions. That explains the Tory/DUP ‘tag team’ approach to undermining the Stormont talks and their lack of concern for the deepening crisis, and associated public annoyance. But significantly, it also suggests that the announced extension of the talks’ deadline beyond the British general election is just another fiction, because they have already psychologically collapsed that next phase before it even begins! That prospect should be a cause of serious political alarm for all who have invested heavily in the peace and political processes, and who have a stake in the GFA, both domestically and internationally. In particular it raises very fundamental questions about the passive and semi-detached role the Irish government has played. Its approach throughout to the progressive political instability and crisis in the North is a national scandal. In these circumstances the Irish government must clarify; is it prepared to continue aligning itself with a policy of negative, pro-unionist bi-partisanship? Is it now prepared to live up to its international obligations by standing up against the Tories and standing up for the equality agenda? And; is the Irish government now prepared to act in the national interest and in defence of the GFA, on the basis of the representations it has received from civic society and progressive parties, including Sinn Féin? The Tory government has introduced new destabilising dynamics into the political crisis, which is engulfing the peace process. The Tories, the DUP and other sections of political unionism have never been serious about power sharing and partnership. Their anti-equality axis is being defined by support for a hard Brexit, austerity, and opposition to a rights-based framework for government. The role of progressives and democrats must be to stand together on the common ground of supporting the GFA, rights, equality and opposition to Brexit. The Irish government needs to make up its mind what side it is on. The entire basis of the Good Friday Agreement is now directly faced with its most serious threat in the history of the peace process. Sinn Féin’s Michelle O’Neill has said the British prime minister Theresa May’s crass attack on those bereaved by British soldiers and their agents, including elected representatives, has insulted the many victims of British state forces. Her comments that “it is absolutely appalling when people try to make a business out of dragging our brave troops through the courts” are dangerous and disgraceful. Sinn Féin President Gerry Adams TD has welcomed comments by the Taoiseach in Brussels today saying he wants the final Brexit agreement to allow for Irish reunification in line with the terms of the Good Friday Agreement. 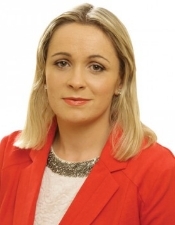 Sinn Féin TD for Offaly and North Tipperary Carol Nolan has said that the hypocrisy and sheer brass neck of Fianna Fáil on workers’ rights is staggering. Teachta Nolan was speaking during the debate on the Industrial Relations (Right to Access) Bill yesterday evening in the Dáil. Sinn Féin National Chairperson Declan Kearney and Senator Paul Gavan met with the North/South Committee of the Irish Congress of Trade Unions in Dublin on Thursday. Sinn Féin’s Carál Ní Chuilín has challenged British secretary of state James Brokenshire over his government’s failure to implement an Irish language act.